Samuel M. Nabrit was a biologist with a long and distinguished career in science education. Dr. Nabrit directed the National Fellowships Fund of the Council of Southern Universities, which supports approximately 560 African Americans earning doctoral degrees that will lead to careers in higher education. 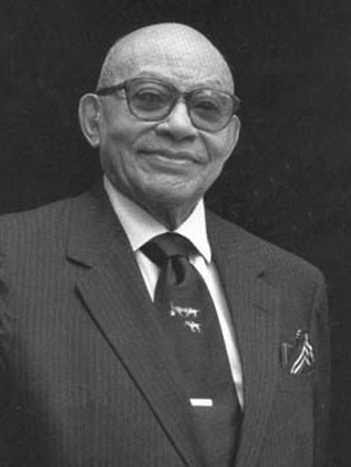 As an educator, Dr. Nabrit served Atlanta University for twenty-three years as a professor of biology and dean, and he was the second president of Texas Southern University in Houston. Dr. Nabrit also served as president of the National Institute of Science (1945) and as a member of the National Science Board (1956) and the Atomic Energy Commission (1966). Dr. Nabrit was a founding member of the Institute of Medicine (as of July 1, 2015, the National Academy of Medicine).